SISTER CLUB: Lumley Ladies Link Up! Durham Women are delighted to announce that Lumley Ladies have joined our FA WSL Sister Club Programme! The Wildcats are one of the fourteen FA Women's Super League clubs to be running the programme for the 2017/18 season and our programme has attracted great interest. Lumley Ladies have become the fifth side to partner up with the Wildcats , following in the footsteps of Durham United, Washington NSG Athletic, Shincliffe Juniors and Pirelli FC. Lumley were founded in 2002 by Dennis Fishwick. Dennis' daughter had been training with a local boys team and despite her obvious talent for the game playing in a boys team was not 'the done thing' - Dennis felt at the time there was a lot of negativity surrounding females in football so Lumley Ladies FC was born. Dennis was determined to create an all girls club that aimed to give girls the same opportunities and to lay the game free from the stereotype and mindset that it was a game for boys/men. Since those days women's football has grown substantially in the UK and Lumley Ladies have grown as a club. They have over the years competed locally, nationally and internationally to a very high standard, and the club currently has over 100 girls playing in teams from U8s to two adult teams. Past players of the club include current Chelsea Ladies FAWSL 1 Goalkeeper and England International Carly Telford. You can find out more about Lumley Ladies on their Facebook, Twitter and official website. 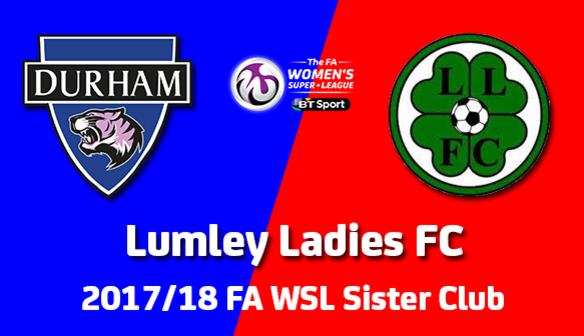 Lumley Ladies will enjoy their Sister Club Day at the FA WSL fixture against Millwall Lionesses on 22nd April, while all their junior players will be able to benefit from free admission to our fixtures, tournaments across the season, player visits and open training sessions as well as much more! Speaking after joining the programme, John Lambert of Lumley Ladies said: "I would just like to say how delighted we all are at becoming a sister club to Durham Women FC and as a club that as solely invested in all girls football for 15 years we truly believe that opportunities like this can only reinforce the growth in the girls game. "We are also looking forward to seeing our girls interacting with the players, be it in either coaching or club mascot days, and also the chance for our players to see how a senior FAWSL club is run and hopefully inspire them to be the best they can be. "Partnerships like this can only help our club grow and continue to help lots of young girls develop a love for the game and forge friendships that will last a lifetime." 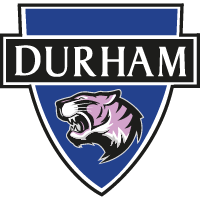 Mark Donnelly, Durham Women FC's Sister Club Programme Officer, added: "Lumley Ladies are a huge club in the North East and we're delighted to be partnering up with them for the 2017/18 season. "As a club that is solely dedicated to women's and girls' football they have taken tremendous strides to improve the game in the area and hopefully we can now offer them support on that journey. "We're already looking forward to welcoming them to all our FA WSL games, including their Sister Club Day against Millwall, and I know they'll engage fully with every aspect of this exciting programme.